Women around the nation step up to positions of power after years of being dismissed. An unexpected rush of female dominance has swept across the nation, implementing itself in all fields – from politics to Hollywood to businesses. The common trend of 2018 was a record number of women holding positions of power, which is now referred to as the “pink wave.” At least 110 female officials headed to the Senate and House of Representatives in January of 2019. After allegations accusing Harvey Weinstein, a former film producer, of sexual misconduct, women in Hollywood have begun to fight and to demand equal respect and inclusion. This surge of women in power was a result of deep concern caused by years worth of frustration in relation to women’s rights in business. 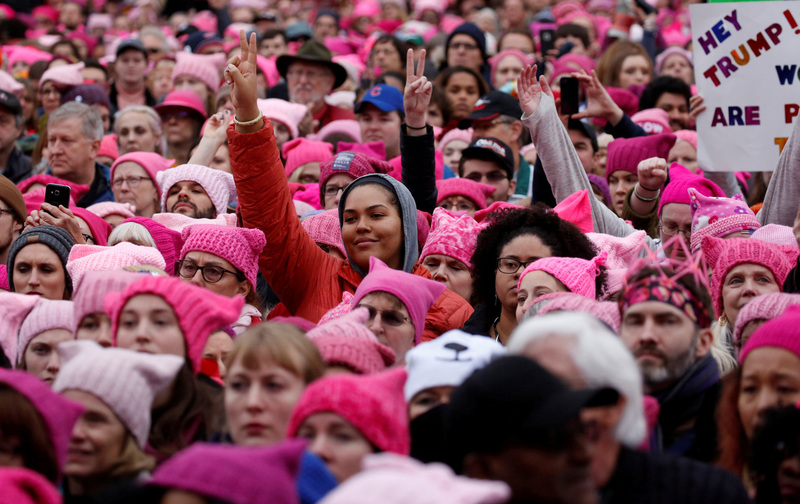 Protests such as The Women’s March and movements such as #MeToo are prime examples of the “pink wave” in action. According to a study in the American Journal of Political Science, women legislators sponsor more bills and pass more laws that benefit women while investing more money back into their districts. Research shows that having more women in office radically changes society’s perspective on women and their own. Adolescent girls are more likely to follow in the footsteps of women who run for office. Not only did women run for office at a higher rate than ever before, but they gained mass support over men. According to a poll conducted in connection to the 2018 midterm elections, voters were more concerned about healthcare than immigration or the economy, which were the typical issues discussed by female candidates. The win and loss rates between male and female candidates were noteworthy. Females showed to win at a much higher rate than their male opponents. Thirty-six percent of female candidates won, 12 percent advanced to the runoffs and 52 percent lost. In contrast, 19 percent of male candidates won, 4 percent advanced to the runoffs and 77 percent lost. 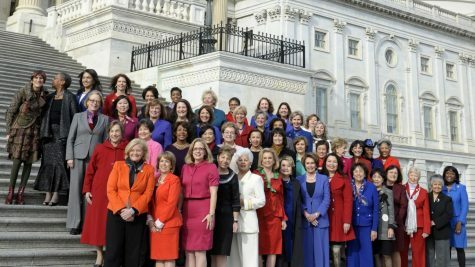 Women broke the record for the most wins in Congress in U.S. history. In 2017, 24 percent of protagonists, eight percent of directors and two percent of cinematographers working on the top films of the year were female. However, 2018 was a turning point. People of power in Hollywood such as studio executives, television showrunners and screenwriters made a progressive decision to leave behind Hollywood’s issues with diversity and equality and shine a light on minorities following the Weinstein allegations. This decision led to an abundance of bold films featuring strong female leads. Some of the women who took the year by storm include Adele Lim, the screenwriter of Crazy Rich Asians, Kristine Belson, the president of Sony Pictures Animations and Lena Waithe, a writer and actress. Overall, it may be concluded that the “pink wave” is simply the beginning of female advancement in the political system, Hollywood and society as a whole. These newfound female leaders are highlighting issues that are otherwise not spoken about. It is to be hoped that 2019 will continue this surge of feminine ascendency.